A new spot to score burgers has made its debut in the neighborhood. Located at 723 Telephone Rd. in Greater Eastwood, the new addition is called Alfred's Burger House. 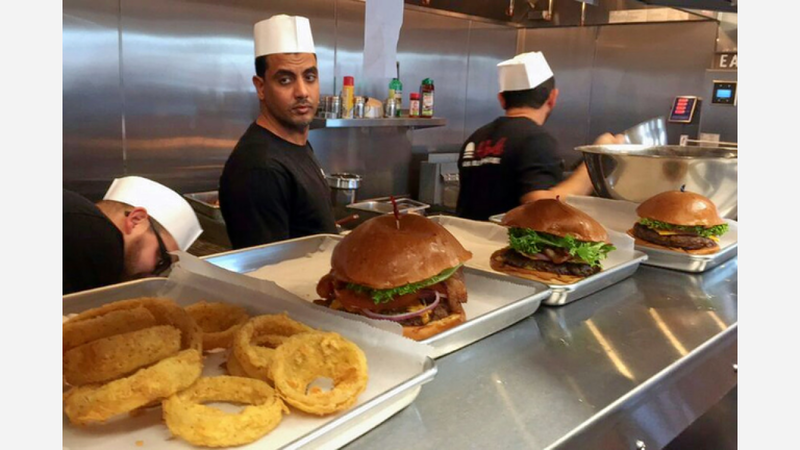 This newcomer specializes in fresh-ground steak burgers, deli sandwiches, salads and more. On the menu, expect to see burgers like "Just a Burger" with mayo, lettuce, tomatoes, onions and pickles; grilled chicken with bacon, American cheese and veggies; a "Mexican Burger" with burger patty, ham, cheese, avocado and a fried egg; and a Philly cheeseburger with grilled onions and peppers and provolone. Look for sandwiches like pastrami with house dressing and corned beef with sauerkraut. There are signature dogs on the menu, too, like "Alfred's Chili Dog" with cheese, fries, and bacon and a "Mexican Dog" topped with pico de gallo. Rounding things out are desserts like ice cream sundaes and three different flavors of milkshakes. With a 4.5-star rating out of three reviews on Yelp so far, Alfred's Burger House has been warmly received by patrons. Brandon H., who was among the first Yelpers to review the new spot on January 15th, said: "I got the chicken burger, and it tasted very delicious! I'm happy these guys are in the neighborhood and definitely recommend this place to anyone looking for a great burger. Will be back!" Yelper David L. added: "This place has a lot of potential. I like the commitment to quality ingredients, nice burger options, good portion sizes, and reasonable price points. Will definitely be coming back." And Karina V. said: "It's clean, simple, and has great customer service. I went with the simplest burger for my first visit, called 'Just a Burger.' The meat tasted great because it was well seasoned and it wasn't dripping in grease." Intrigued? Stop in to try it for yourself. Alfred's Burger House is open Monday-Thursday from 11am-9pm, Friday and Saturday from 11am-11pm, and Sunday from 11am-7pm.